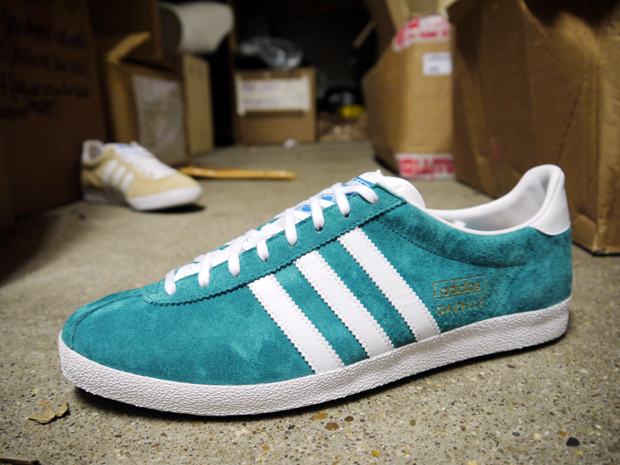 The adidas Gazelle OG gets more attention for early 2012, with this excellent offering of the teal and tan make-ups. 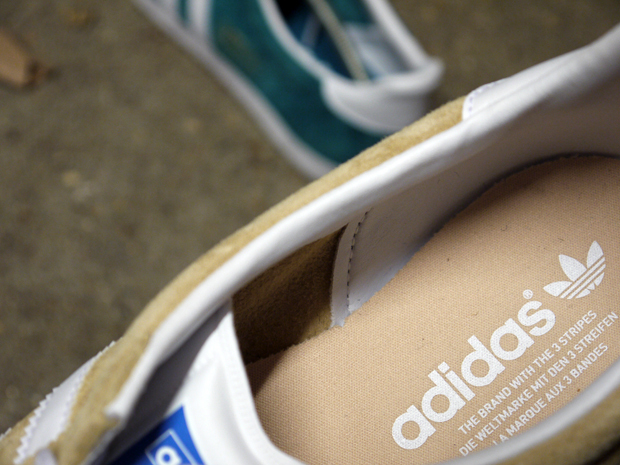 This archive favourite gets appreciation from a wide range of footwear fanatics and rightly so. 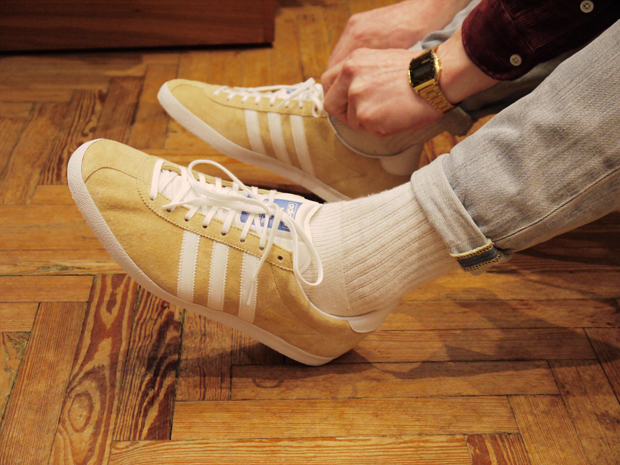 The smoother late ’60s shape coupled with nubuck suede and leather on the upper make for that classic adidas look, and the colour options provide a balance of simplicity and vibrancy. 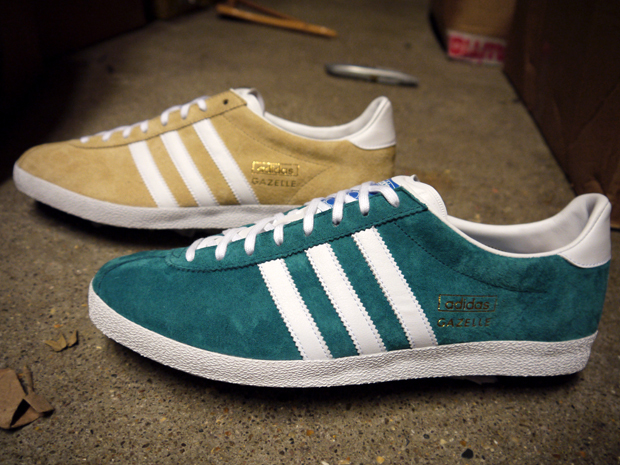 Both shoes make use of blue adidas branding on the tongue and gold gazelle branding on the side, with working well in the overall mix. i completely disagree. 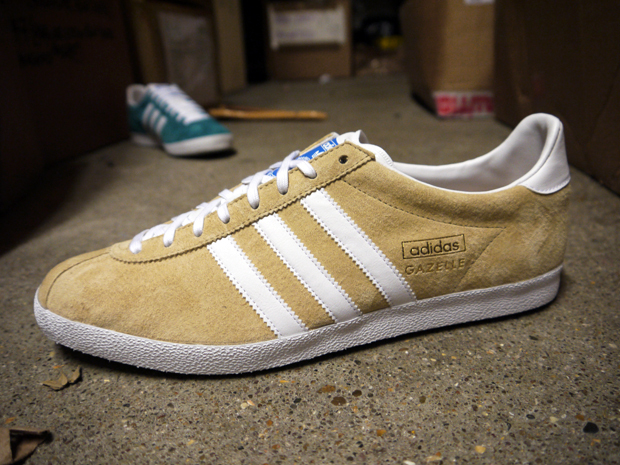 so so cool even still! 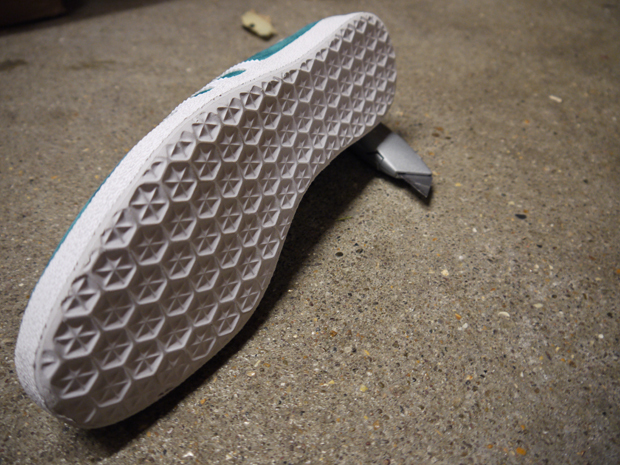 I think its a great low cut runner… the only part that could be considered potentially ugly in my eyes would be the toe, dubious as to how well it would hold its shape, other than that a solid silhouette. 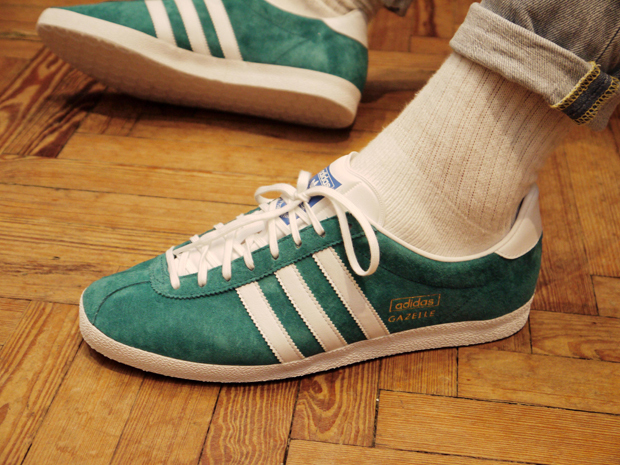 I will definitely be rocking these in the summer. pimms oclock?